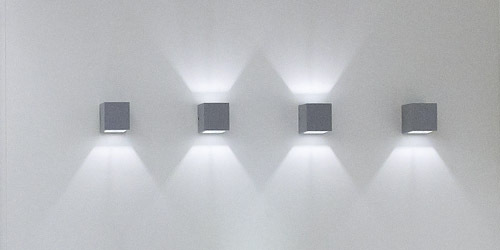 Series of wall mounted lighting fixtures. It is made of oxidation resistant die-cast aluminum and clear glass cover. It is waterproof (IP54) with use of silicon gaskets. It comes in one- and two-emission versions (up and down). It is available with 230V sockets for halogen, compact fluorescent and led lamps.